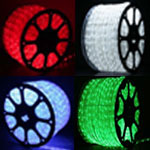 24FT Multi-Color LED Rope Lights Free Shipping ! 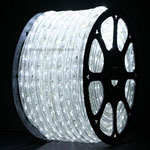 24FT Warm White LED Rope Lights Free Shipping ! 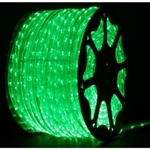 50FT Blue LED Rope Light Free Shipping ! 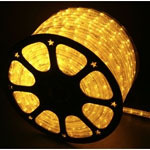 50FT Warm White LED Rope Light 3000K Free Shipping ! 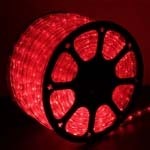 48FT 120 Volt Warm White Incandescent Rope Lights Free Shipping ! LED Strip Light Adapter Cable Clamp New Markdown ! LED Strip Light Adapter Cable Clamp Description: 17.5 cm Flexible LED Strip Light Adapter Cable Clamp. Use for powering our 5050 series single color Flexible Light Strips. LED Strip Light Clamp On Pigtail Adapter Description: 6 inch LED Strip Light solderless Clamp On Pigtail Adapter our 5050 series single color Flexible Light Strips. Used to connect 2 single color led strip lights together. LED Strip Light Clamp On Pigtail Adapter Description: 6 inch LED Strip Light solderless Clamp On Pigtail Adapter our RGB (Color changing) 5050 series Flexible Light Strips. Used to connect 2 led RGB strip lights together. LED Strip Light Direct Connect Clamp Description: LED Strip Light Direct Connect Clamp for our 35283 series single color Flexible Light Strips. 4 contact direct connect clamp, directly connects two 35283 series single color flexible light strips together. LED Strip Light Direct Connect Clamp Description: LED Strip Light Direct Connect Clamp for our 5050 series single color Flexible Light Strips. 4 contact direct connect clamp, directly connects two 5050 series single color flexible light strips together. LED Strip Light Direct Connect Clamp Description: LED Strip Light Direct Connect Clamp for our 5050 series RGB (Color changing) Flexible Light Strips. 4 contact direct connect clamp, directly connects two 5050 series RGB flexible light strips together. 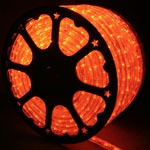 LED Strip Light Solderless Interconnector Description: Connect two 5050 series 10 mm RGB (Color changing ) LED Strips together.